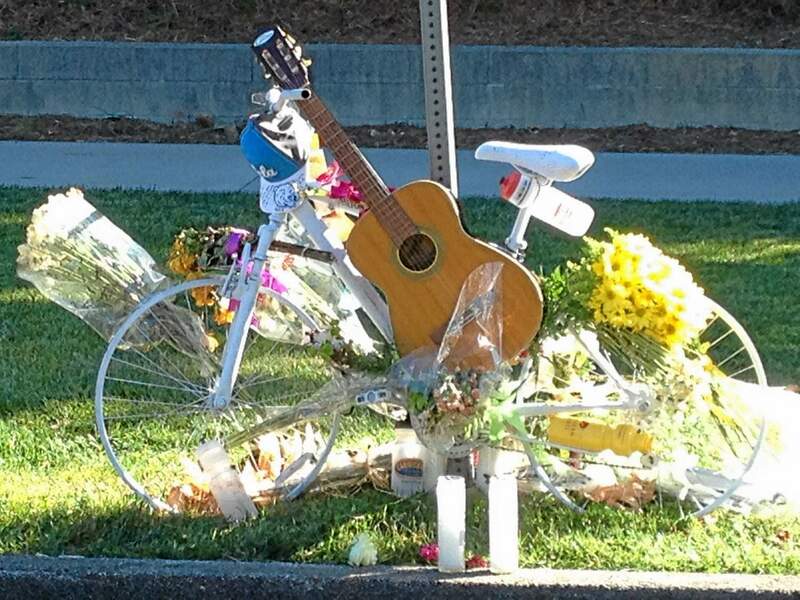 The Los Angeles County District Attorney’s Office declined to press charges against a sheriff’s deputy who was apparently distracted by his mobile digital computer when he fatally struck cyclist Milton Olin Jr. in Calabasas in December, officials announced Wednesday. Rarity of rarities, a thug cop being prosecuted for his crimes. Though not for the actual assault and kidnapping of the illegal arrest, but just for the falsified paperwork. Will he actually be convicted? My money's on a plea deal and a slap on the wrist. The officer, Michael Ackermann, 30, claimed that the photographer interfered with an arrest last year of a teenage girl by repeatedly discharging his camera’s flash in Officer Ackermann’s face. But the officer’s account unraveled after the office of Robert T. Johnson, the Bronx district attorney, examined photographic evidence and determined that the photographer, Robert Stolarik, did not use a flash and did not have one on his camera at the time. When an officer told Mr. Stolarik to stop taking pictures of a girl being arrested, he identified himself as a Times journalist and continued taking pictures. Another officer grabbed his camera and slammed it into his face, Mr. Stolarik said at the time. As he asked for their badge numbers, the officers took his cameras and pulled him to the ground. We've mentioned how dirty the Ferguson PD had proved itself to be before the recent troubles. Turns out Darren Wilson's first job as a cop was in a PD so filthy it was disbanded. That doesn't prove anything about what happened the night he shot Michael Brown, but does reflect on his credibility and competence. FERGUSON, Mo. — The small city of Jennings, Mo., had a police department so troubled, and with so much tension between white officers and black residents, that the city council finally decided to disband it. Everyone in the Jennings police department was fired. New officers were brought in to create a credible department from scratch. For those of you keeping score at home: nutjob armed supporters of actual criminal Cliven Bundy got cops to leave. Peaceful unarmed supporters of cop-murder victim Michael Brown are arrested, assaulted, and fired upon. Maybe it's time to bring back the approach of the Black Panthers and the Deacons for Defense. From the militarization of police department: the FAA has declared a no-fly zone over Ferguson, Missouri, site for the past several days of protests over the murder of Michael Brown by a local police officer. Air superiority must be maintained. Eric Garner was killed by a New York City police officer last Thursday, choked to death in an assault by several cops. The crime of which he was accused? Selling untaxed loose cigarettes. Witnesses say he had just broken up a fight, but rather than pursue and investigate that act of violence they harassed, assaulted, and murdered Garner. Two officers and four EMTs and paramedics have been suspended over the incident, pending investigation. About 500 Americans are killed by police each year. Some of those, of course, are legitimate cases of defense, but "police privilege", the perceived "right" of cops to harass, beat, taze, pepper-spray, and shoot civilians who don't properly knuckle-under, is becoming more and more of a threat to our lives and liberty. “They’re covering their asses, he was breaking up a fight. They harassed and harassed my husband until they killed him,” she said. Garner’s family said he didn’t have any cigarettes on him or in his car at the time of his death. Emails Show Feds Asking Florida Cops to Deceive Judges | Threat Level | WIRED:"
The militarization of policing must end. We don't know all the facts of the case yet, but they fit with a growing trend of police using SWAT teams and military tactics for cases that never would have warranted that treatment before. Eastern Kentucky University's Peter Kraska estimated that there were about 3,000 SWAT raids a year in the early 1980s, 30,000 by 1996, and 40,000 by 2001. ...A SWAT team raided a DJ in Atlanta on suspicion of copyright violations. A Gibson Guitar factory in Tennessee was raided with a SWAT team on suspicion that they weren't the wood they imported for their guitars wasn't treated properly. Plenty of innocent people, from 80-year-old Isaac Singletary to 11-year-old Alberto Sepulveda to 88-year-old Kathryn Johnston, have been killed in SWAT raids. "In drug raids," Balko writes, "killing the dogs in the targeted house is almost perfunctory."